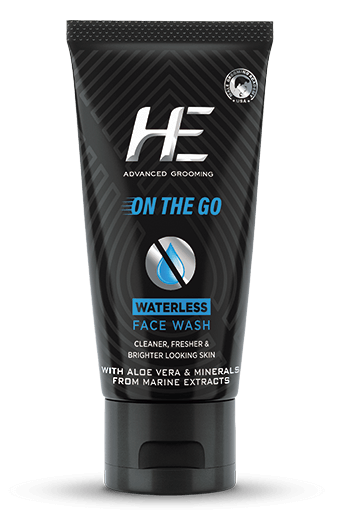 Explore the power of waterless cleansing. With the goodness of Aloe Vera and Minerals from Marine Extracts, this revolutionary product helps skin appear Cleaner, Fresher & Brighter. HE Respect Mens Deodorant is more than a deodorant . It is a scent that announces the arrival of a man who respects women. With the proceeds of the profits aimed to support the welfare of women, it isn't simply a symbol of respect. It is the scent of respect. HE Passion Mens Perfume is a sensual and masculine fragrance from the Fougere fragrance family. A powerful and refreshing fragrance, HE Passion adds to your charismatic personality & keeps you at your interesting best all day long! HE Arctic Mens Perfume is a premium deodorant with cooling menthol and refreshing fragrance to give you a cooling sensation and an extra burst of freshness that lasts all day long.